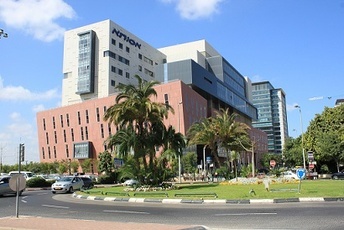 Assuta - the largest in Israel, a private medical center. The clinic Assuta 1500 work of highly qualified doctors. Every year experts of the center performed about 85,000 surgeries and 650,000 diagnostic studies. Assuta in Israel (Assuta Hospital, Assuta Medical Center) - a network of private medical centers, including 11 branches (. In Ashdod, Haifa, Ra'anana, etc. ), the main of which is located in Tel Aviv. In 1934, it was originally built as a private institution of Jewish doctors, natives of Germany. The basis of the two principles of European medicine laid - effectiveness of treatment and quality service. In the nineties, the hospital converted into a network. 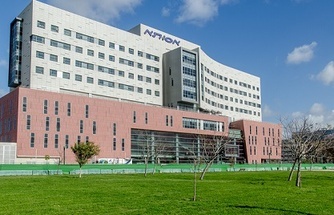 Israel Assuta Hospital in Tel Aviv is located in the northern part of the city. In the first place - is a surgical center with an area - 970 thousand square meters.. It sixteen operating, comfortable chambers on one or two people, suites of 2 rooms (chambers superior). It is the oldest medical-diagnostic center, which has made a significant contribution to the country's development of medicine. He is considered the most modern in the Middle East, a leader in the field of health care in the state. Due to the status of "private clinic" corporate thinking and goals invested heavily in the development of: the purchase of the latest equipment, to attract the best doctors, the infrastructure, the introduction of the latest techniques, technologies and standards of treatment. Assuta - the first in the country in February 2011, received an accreditation certificate JCI (International healthcare accreditation) of compliance with international standards. The main areas include cardiology, IVF, gynecology and general surgery. They provide medical care that meets international standards. Since the hospital - private, no permanent staff of doctors, used contract system works. Clinic invites doctors to carry out operations, treatment of specific cases. To work involved only a medical elite of the country. In addition, this method provides patients with an unprecedented opportunity to choose a doctor on request. The clinic has the latest equipment for diagnosis and treatment. Here are regularly bought the latest developments from the leading manufacturers of medical equipment. For example, computer tomographs create a 64-slice image with a low dose, high scanning speed, a tremendous level image manipulation. Institute for radiotherapy and radiosurgery offers the latest models of linear accelerators. Here spend irradiation using IGRT, IMRT, gamma knife, brachytherapy. Recent techniques, design and high-performance protocols Assuta treatment puts into practice at a higher rate as compared to the state medical institutions through cooperation with foreign centers. This provides a more effective and safe treatment of complicated cases, especially in the field of oncology . There is performed about 700,000 outpatient examinations annually. Diagnose the slightest deviation in the bodies established risk factors for disease. Assuta a multidisciplinary laboratory, where many modern types of laboratory tests are carried out. 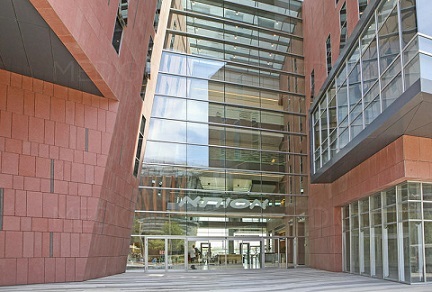 It is the largest center in the country, studying tumor markers and genetic mutations provoke oncology. As part of the diagnostic and treatment institution patient undergoes diagnostic (instrumental and laboratory tests), received medical advice as soon as possible. Use the possibility of convening a consultation of doctors from different areas for a comprehensive approach, accurately determined the cause of the disease, develop optimal treatment strategy. 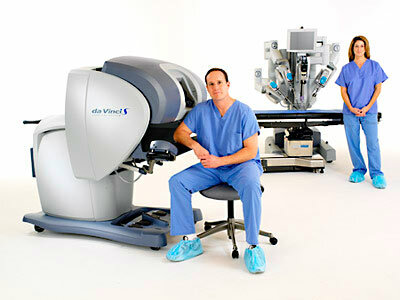 Specialization of the center - conducting organ and minimally invasive operations. About eighty five thousand surgical procedures performed each year in the hospital Assuta in Israel. Surgery Department is divided into hospital and outpatient department, a part of which are smaller - by specialization. all kinds of operations with the use of different approaches, including a cavity (standard) are held here. Cardiac Surgery Center has an excellent technical base, which perform complex operations on the vessels and the heart. Annually about 5000 cardiac catheterizations, a similar number of angiographies in therapeutic and diagnostic purposes. As a part of this center is Institute of cardiac rehabilitation "Kardiostayl" where patients recover after surgery and heart attacks. At the hospital there is a computerized pharmacy, provides patients in the shortest time necessary medicines. With such a high level of medical care prices for operations are often lower in comparison with other public and private health institutions in Israel. IVF department has been operating since 1987, with high statistical indicators. Infertility is treated with advanced reproductive technologies -. Injection of a single sperm into the cytoplasm of the egg, testicular sperm aspiration, etc. are carried out annually about seven thousand IVF - is one quarter of the total number in the country. Department of IVF and Oncology, Cardiac Surgery Center has a reputation of leading the country. One of the basic principles of treatment - a caring and quality service. You can be examined and treated in the superior conditions, which have no analogues in Israel. More than 400 well-equipped rooms with TV, internet, parking attendant. At the core relationship - care about the convenience and comfort. Medical staff extremely polite and kind to patients. The effectiveness of treatment in Israel is largely determined by the competent organization of the process. The hospital provides health care services, and provides services in support of patients from other countries. Do you or your family need medical assistance? Want to be diagnosed or treated at Assuta - the best doctors in the shortest possible time, at minimal cost, without experiencing unnecessary anxiety and worry? Please contact us! Our company - MS «Unims» - a medical provider, organizing diagnostic and therapeutic procedures for foreign patients in Israel. The company has a license of the Ministry of Health and the country's Ministry of Tourism. We are members of the Israel Association of Medical Tourism Companies http://www.ismta.org.il/about/members. According to the link - evidence http://assuta.clinic/sites/msassuta.com/files/newfiles/UNIMS-ISMTA_member.pdf. Director - Evgeniy Vasiliev - a member of the cabinet of the Association. The company is working on the basis of direct contracts with the following hospitals as the country - Ichilov (Sourasky), MC Herzliya, Shiba Hospital, Rabin Center, the center of Ramat Aviv, hospital Asaf ha Rofé - is their official representative. Organization of treatment in Israel - view logistics services as optimize the process of movement of services from the provider (hospitals) to the consumer (foreign tourists). It only to a certain extent provide themselves clinics, namely their departments of medical tourism. For example, a grocery store - the intermediary between producers and consumers of goods. MS «Unims» operates on the basis of a direct contract with Assuta Medical Center (not international tourism department), has a wholesale price of medical services and can compete on cost. The company's mission - to organize the system so that in the short term foreign patients at the best value received quality medical services in Israel. narrow focus in the specialization of doctors. It has extensive professional contacts and personal connections. He has developed a streamlined system of selection of the best doctors. Not tied to a specific doctor or clinic, as a private health provider. High level of organization of health services in Israel. Quick solution of all the possible difficulties, including through collaboration with several medical complex of the country. Services Diagnostics and treatment organization in Assuta also offers a health department or the Department of Tourism. Only when working with foreign patients. Medical services are paid at the rates established for the citizens of other countries. This department includes 10-15 clinic salaried employees. 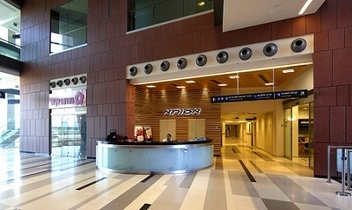 The cost of mediation is incorporated into the overall pricing, exhibited hospital. Therefore, even if the person speaks directly to the medical center, he pays organizational services. There is no risk of interaction with unscrupulous middlemen. The quality of care at a good level. The lower level of organizational services - delay and expectations - increased costs and experiences. Medical aid only on the basis of one hospital. Company «Unims» offers an extended range of logistics services. We will look at this in a comparative table. The choice of healthcare provider, as well as the clinic is important in the treatment of serious diseases in Israel. For confirmation of our work we provide, including contact information Patients who undergo this treatment. MS «Unims» offers a package of logistics services in the Assuta for $ 280, discussed in detail below on this package. Organization set out by stages of diagnosis and treatment at the center for foreign patients. 1. Assessment of medical problem (whether it is possible to assist in Israel) and the response to a previous request. Adequately assess the possibility of providing health care, in some cases, are not. Response to the request has been received in time from hours to 2 days in a comfortable for the patient - by phone, e-mail. Employees of the department of medical tourism Assuta respond in writing within 1-3 days. There are problems with direct dialing. Applications and tourists engaged for 2 people. If the medical records will be sent in hard copy to all the results of surveys, the plan is sent to the patient after 1 hour. The organization of diagnosis and treatment in a single day, if the situation is urgent. 2. The physician's recommendation in the profile of the disease, treatment it at the right time. We recommend the best specialist, organize the reception and consultation throughout the day thanks to the adjusted communications. We have a priority - the patient's interests. Assuta Hospital experts do not recommend any one doctor, and do not submit to it most of the patients, respecting the interests of other doctors. We accumulate experience and knowledge in the field of doctors. For example, knowing two or three doctors of the same name, specialization, but with different narrow in the direction of medical activity, we can choose the best, knowing who and what is superior. According to Irina Bakshi, director of the international department of the Assuta Tel Aviv, the patient comes to the clinic with your doctor or surgeon. Treatment will be organized in selected professional, but it will take more time. We have an unlimited list of doctors on a wide range of diseases. A list of doctors in the Assuta largely "locked up" for diagnosis and surgery. Selection and agreement with the other experts will take several days. a) the treatment plan drawn up by leading physicians. a) Over the program running from the doctor of the international department, or free doctor, in rare cases - leading experts. b) The patient receives a clear plan with deadlines. He can plan a stay expenses in Israel. b) From practice it is known - is less precise alignment of the plan is possible, if we turn to the clinic at least one month. In the case of urgent treatment time required for diagnosis and treatment - uncertain, the consequence - additional costs to stay in the country. • Diagnostics for 1-2 days. • Assignment operations for 3-4 days. • Provide a separate private hospital room at no extra charge. • During hospitalization, laboratory tests are carried out free of charge. 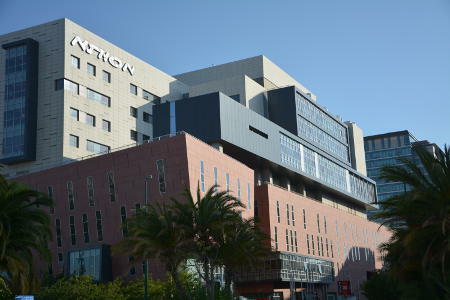 • attracting features of other hospitals. Employees of international department to optimize the schedule of doctors performing medical procedures. But also take into account the interests of local residents and doctors. In general, they have fewer organizational capabilities. For example, send a request to test the response speed, and try to get through. In some cases, screening and treatment program is conducted on the basis of a number of centers, which reduces the time and cost of medical services. The patient had to undergo PET-CT in the existing treatment plan, he would arrive in the coming days. In a direct appeal to Assuta clinic told him that all would be possible not earlier than in a week. Our company organized a procedure the next day and was able to get this opportunity, knowing in this case, the nuances of the clinic. It is known that PET-CT scans are often canceled for the day. contractor has been there, I have not yet received all. We organize therapeutic and diagnostic procedures, including during off-hours. Medical assistance is available only during working days and hours. It is also necessary to consider the absence of admissions to hospital Assuta. For example, the patient was operated and discharged. A week later, he had a fever, he was not in the Assuta will accept and send to the emergency room at another hospital. A foreign citizen can be difficult to cope with such a situation. Accompanying our company will take the man and take to another hospital, where will provide the necessary assistance. 5. Pre-training, scheduling medical procedures, the decision everyday issues. Booking flights patient at wish. Working with the dealer, which has a simplified system of a flight delay or cancellation date. Also see the additional shares. We offer rental apartments, book hotel rooms, check-in wellness center Assuta RELAX. They offer assistance in hotel accommodation, wellness center Assuta RELAX (about 200 dollars). Select accommodation in accordance with the wishes of the patient, the price - from $ 80. We meet at the airport and send the patient on therapy completion, we deliver daily to the medical center of the place of residence and back. Medical Tourism Department in Assuta provides expensive transfer in outsourcing, in excess of two to three times the prices for taxi services. The total cost of the service - 6 taxi rides with the lowest excess of twice the volume. In general, prices for logistics services - low. In general, prices for logistics services - high. 1. Diagnostics to confirm or refute the diagnosis in Israel, coordinating treatment programs and organizations. Diagnostic checks are performed for 1-2 days. The survey is conducted only on the basis of Assuta possible queue or cancellation. Including the opportunity to be examined on the basis of other medical centers provided queues or absence of the necessary medical equipment. Part procedures Asuta more expensive than in other hospitals. Also, a number of analyzes is sent to other hospitals for testing, respectively, and their cost will be higher. It is also possible to make the implementation of costly procedures in other clinics, optimizing the patient's budget. We offer it. 2. Support of the patient at all stages of care, translation services. We provide services at all stages of the treatment process, including after hours and on holidays; translation services, including medical documentation translation. Employees of the department of medical tourism accompany foreign patients only during working hours (18 hours). It is worth remembering that the amount of staff and their workload. We provide additional control of the quality of services of medical personnel. Fact - in Russian speaking, only 20% of doctors and nurses. Additional payment for the transfer of medical records, approximately $ 40 - 1 sheet. There may be situations where the equipment is broken or sick doctor. Our company has quickly finds a solution. Despite the attraction of the best doctors and the application of modern technically sophisticated equipment possible force majeure situation. The patient came from Kiev with a brain aneurysm. Agreed to carry out operations in the Assuta at 6pm. They called and warned that the deteriorated parts from the medical device, tolerated the procedure the next day. The next day it turned out that the spare can bring only a few days from the US. Because aneurysm - a pathology, in which the delay dangerous operation moved to Herzliya with the same doctor. Upon arrival in Israel, while accompanying a patient being taken to the place of residence, always explain where close to shops, cafes (restaurants), the exchangers. Also transported to the supermarket, where you can buy everything you need is cheaper than in small retail stores, in addition to exchange dollars for shekels. Transfer to outsource. Limited range of services. We provide our clients a local SIM card, 24 hours is in communication, answer questions. If the planned operation, the patient attaches the accompanying 24 hours. When purchasing medicines can be found in pharmacies with the lowest mark-up, as well as use of the company discount. Selectively provide for greater value. a. Care round the clock services. e. An opportunity to get expert (second) opinion at international level doctor. f. Legal assistance aimed at protecting the rights of the patient. After diagnosis and treatment in the hospital Assuta provide an opportunity to communicate with the doctor after returning home. At the end of treatment and return to the country of residence is not possible to communicate with the Israeli doctor. Contact us today, tomorrow you will be able to get an appointment to see a doctor. Here you get medical care with leading doctors of Israel! For treatment in Israel are democratic prices. Find out the cost of the clinic Assuta, requesting a preliminary calculation of online medical institution. care checkup at the clinic, how much time will it take? where better to turn for liver cancer - a branch in Ashdod or Tel Aviv?